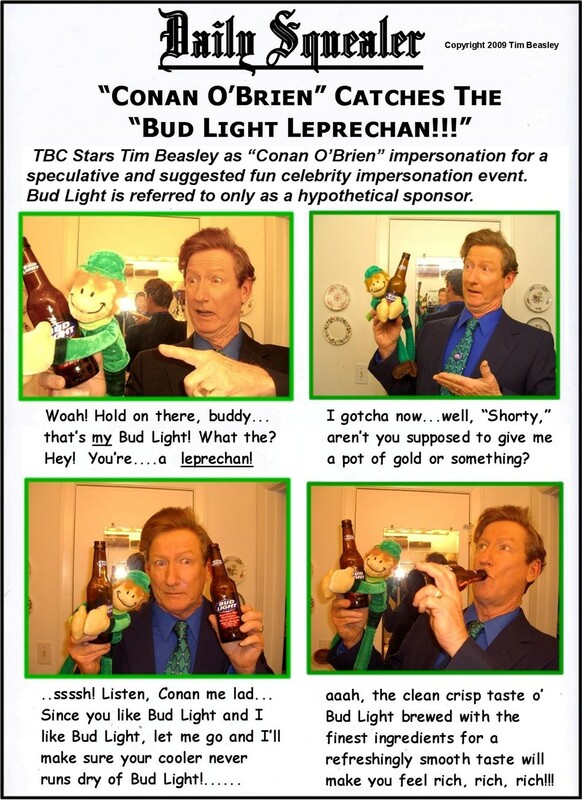 Tim Beasley is very happy to use his immediate natural likeness to TV's late night talk show host Conan O'Brien to produce a hilarious copy of Conan's role as comedy host for your special event! 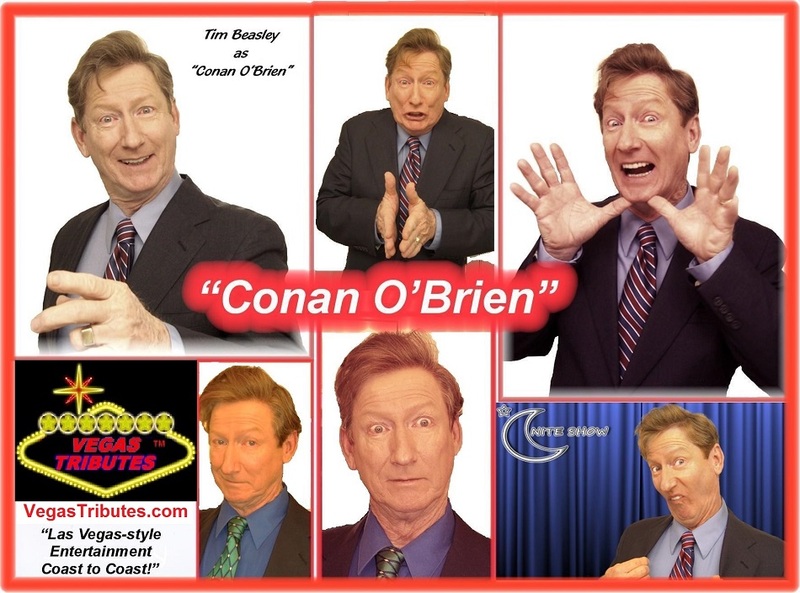 His 3 years as a host for his own oceanfront summer tourists seasons "Beach Tonight Show" ( a Clear Channel - Live Nation production ) and 25+ years as a national professional variety celebrity impersonator - tribute performer, comic and TV - Film actor all adds up to one guy who's mastered the stage and wowed audiences countless times. 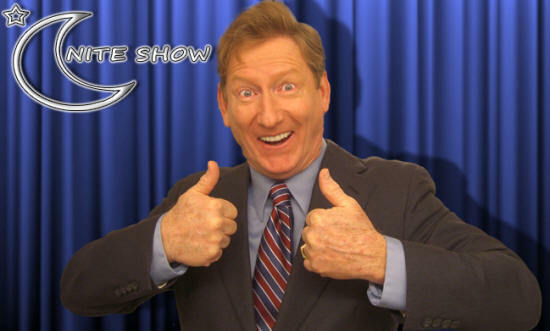 From this Conan comedy clone's zany opening monologue with Tim's equally zany and topical original quips written just for your audience or guests, to the wild and crazy Conan-style skits, it's an amazing thing just how much they actually share physically and mentally. 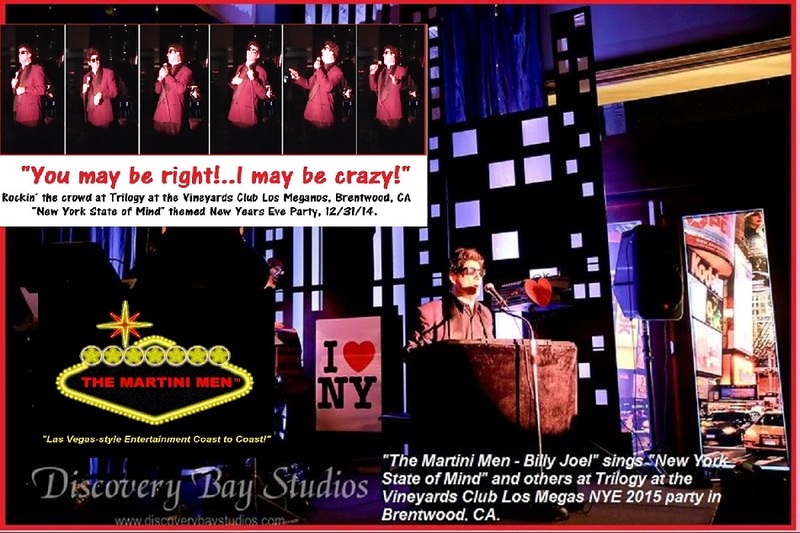 Have some special guests in your audience? 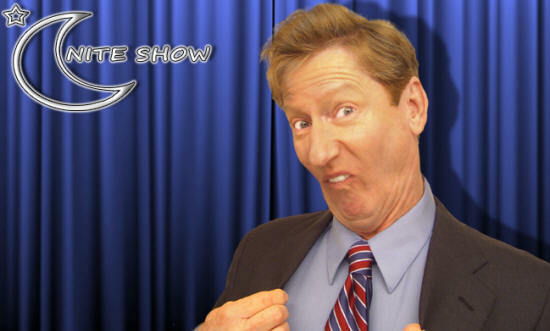 Let Tim as "Conan" interview them ala "Late Nite with Conan O'Brien" from his desk and have some interactive hi-jinks to make it a delightful evening - and are you ready for this? He can also become his very own "Special Superstar Musical Guest" by quick-changing into any of his "Rock Superstars" of your choice! 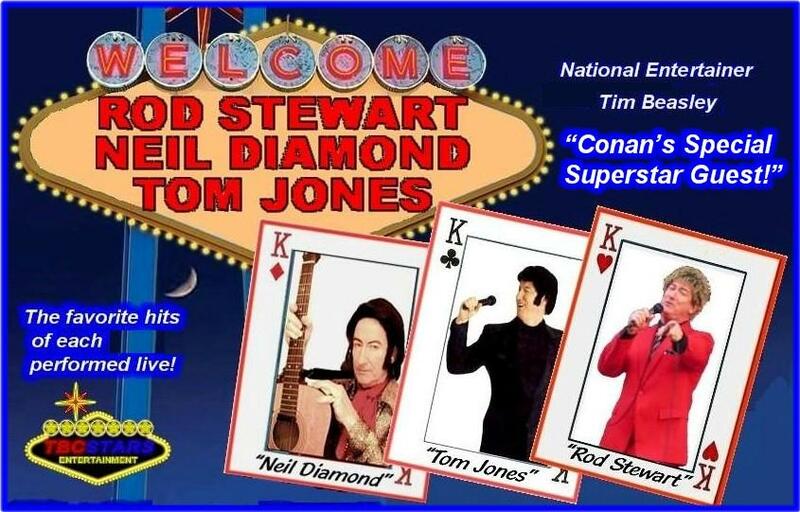 It's a great routine and audiences marvel at watching "Conan" magically transform right before their very eyes into the living Las Vegas legends as either "Billy Joel, Neil Diamond," "Tom Jones" or "Rod Stewart." Call and we'll share the "spoiler" on how this is done! 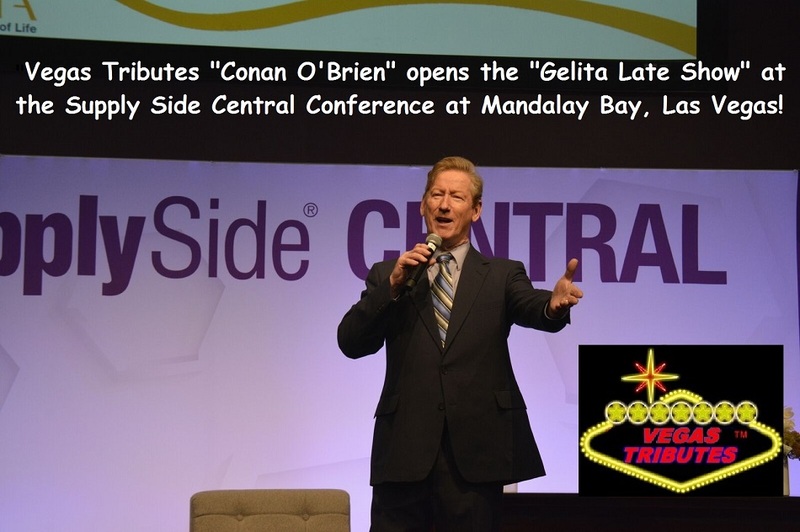 Anyone who's a Conan fan knows how much he likes to regularly belt out some rockin' tunes! 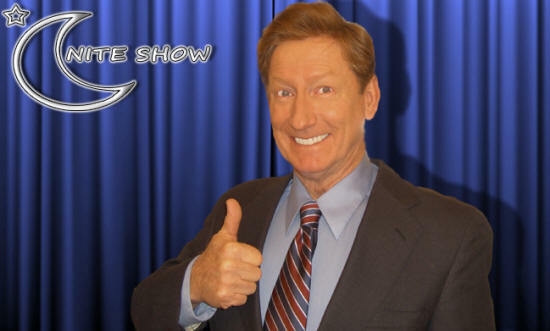 Make it a great time with Tim as "Conan O'Brien" for your very own "Late Nite With Conan O'Brien" show!